It enables you to manage your critical business functions across sales, distribution, financials, manufacturing and Customer Relationship Management (CRM) all in a single integrated system. 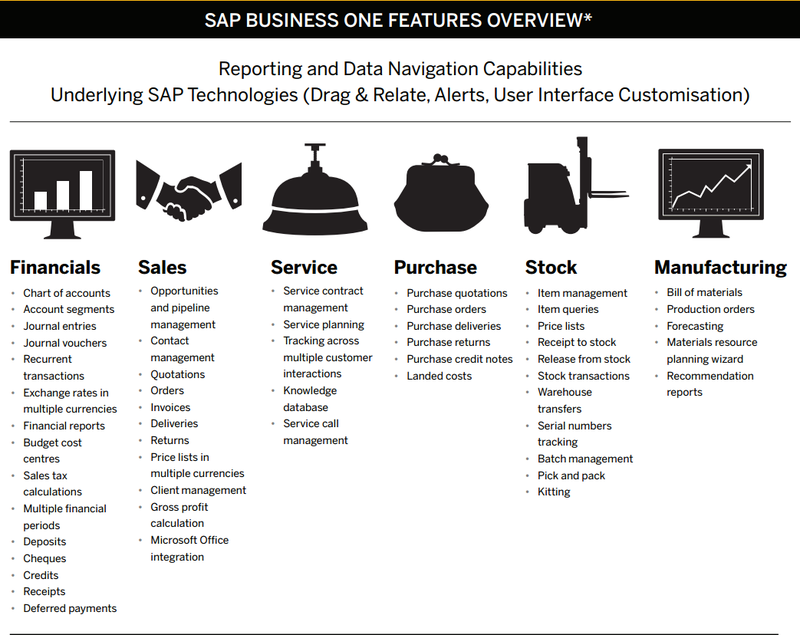 With SAP Business One, you can instantaneously access a complete and up-to-the-minute view of your business, so you can respond to customers faster and grow your business more profitably. Convert more prospects, keep customers satisfied, and maximize revenue. Our integrated CRM tools support all of your sales, service, and marketing activities – from managing campaigns to tracking leads to administering after sales support. Manage inventory across multiple warehouses in real-time and maintain cost-effective production. Our small business software can help you track and record stock movements, optimize inventory levels, improve on-time delivery, and even make stock-outs a thing of the past. Find new ways to save by optimizing your entire purchasing process – from planning and order creation to vendor selection, invoicing, and payments. Empower employees to get answers to their most pressing questions in real time – with quick and easy access to intuitive business intelligence (BI), analytics, and reporting. Need to integrate your business processes with company headquarters, partners, or other applications and services? 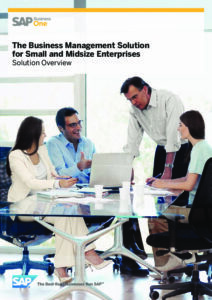 Explore SAP Business One integration solutions for growing and global organizations.